The E-PL5 essentially offers the heart of the flagship OM-D model inside a much smaller, lighter and crucially cheaper body. 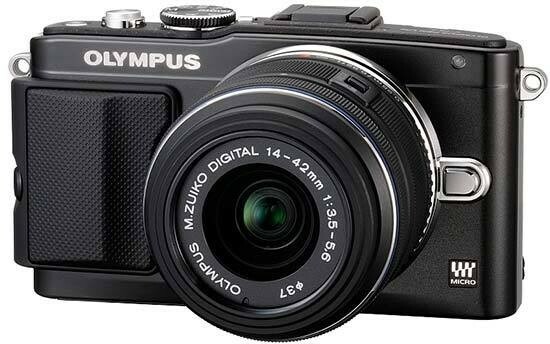 If you can live without the OM-D's built-in electronic viewfinder, dust- and splash- proof body, 5-axis gyro image stabilisation system, and more hands-on interface, the E-PL5 delivers the best image quality from an Olympus mirrorless camera at a price that won't break the bank. This new model also addresses some of the concerns that we had about its predecessor. Whereas the E-PL3 felt like a bit of a curio, falling uncomfortably between the even smaller E-PM1 and the upmarket E-P3, the new E-PL5 is a more well-rounded offering, with the supplied screw-in handgrip, Flash Air memory card, touchscreen interface, expanded ISO range, faster 8fps burst shooting and more Art Filters all contributing to a maturer feeling camera. It still doesn't have a built-in flash, though, something that the supplied clip-on flash can't quite make up for. Image quality is where Micro Four Thirds cameras have traditionally lagged behind their APS-C sensor rivals, but the E-PL5 carries on where the OM-D E-M5 left off by equalling the results from other leading cameras. Noise doesn't rear its ugly head until ISO 3200 for JPEGs and even the faster settings prove eminently usable, although the E-PL5 does apply some pretty aggressive noise reduction to keep the files clean as shown by the noisier raw images. We never longed for a camera with a bigger sensor, and you'd have to step up to a full-frame DSLR to see an appreciable leap in image quality.